What happens on Yurt Holidays? What is so wonderful about a yurt? Well for a start it’s the shape. How often do you sleep in a room that is round? With wooden lattice for walls and beautiful hand painted posts for the ceiling. But it’s not just the yurts themselves that will make your holiday so memorable but the breathtakingly beautiful surroundings. When you arrive you can park your car at the house and we will transport you and your belongings to your yurt by tractor, where your yurt holiday will begin. Paddy the dog usually leads the way! You will settle into the yurt and make a cup of tea in your own rustic kitchen (the milk goes in the rustic ‘fridge’ in the stream). 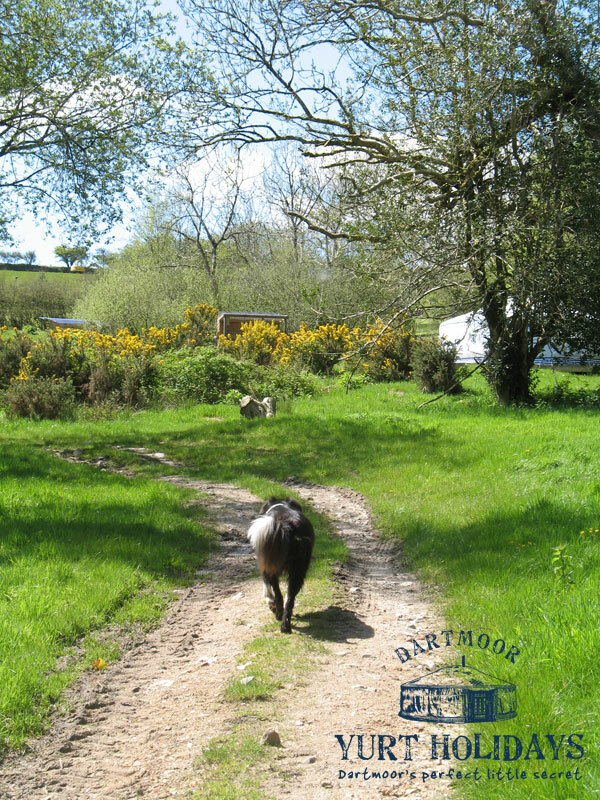 Then you may want to explore the 26 acres of fields and woodland on our farm, or sit and enjoy the peace and tranquillity of your new home! If you have children they will love the space and freedom. It really is a children’s paradise. When you need to take a shower you will have the unusual experience of heating the water by building a fire. 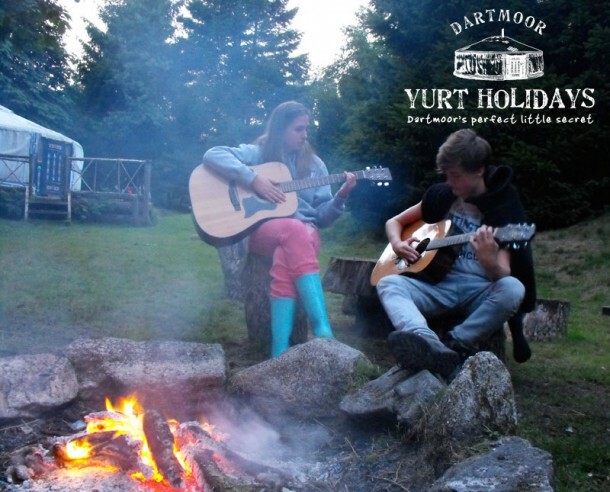 Yes staying at Dartmoor Yurt Holidays really is a unique experience. Some people are nervous about using a compost toilet but our compost toilets (one for each yurt) are just like an ordinary toilet except instead of flushing you put in a handful or two of sawdust – guaranteed totally smell-free! If you need help lighting fires we are on hand to help, but if you prefer to be left alone we are happy to do that too!